Inspirational love posters help to set a romantic mood for Valentine’s Day, whether you are throwing a party for friends or having a special meal for two. Of course, there’s no need to keep these romantic art prints and classic photography of couples in love for a single night of the year. 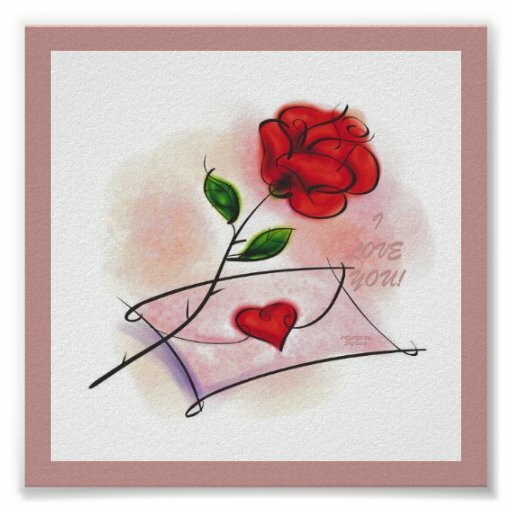 Love posters and prints are also a wonderfully thoughtful Valentine’s gift for your loved one and just as appropriate for a man or a woman. If you and your sweetheart are apart, inspirational love posters can express your feelings in your absence. For a truly unique Valentine’s Day gift, you can even create a keepsake of your love with a customizable poster which allows you to enter your own names or message. Or you can simply treat yourself to an unashamedly romantic piece of art that captures your own imagination and gives form to your dreams. 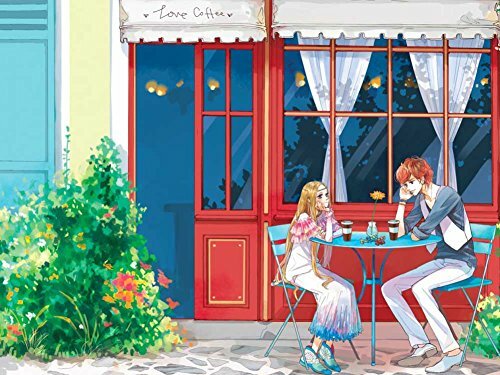 After all, everyday life is always better with a little romance! 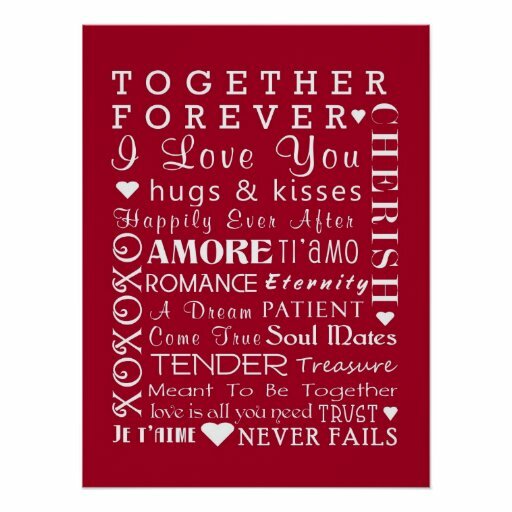 Here’s an example of romantic love posters and prints that you will want to display all year long. Simple and stylish, the word LOVE makes a bold statement on a wall. For something different, the Love Subway Art creates a piece of art out of the beautiful use and arrangement of fonts, all on the theme of romantic love. Subway Art gives birth to wonderful inspirational love posters. There’s nothing quite like a romantic couple with eyes only for each other to conjure up feelings of falling in love. These inspirational love posters are very different from each other, but each shares an emotion, a moment of connection and intimacy between a man and a woman for whom nothing else exists. 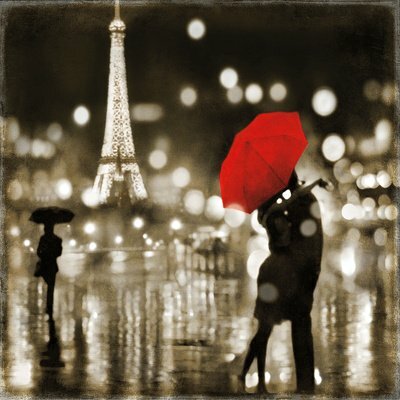 Colour and light surround the couple in the rain, dancing kissing beneath an umbrella in the lamplight. What a beautiful feeling, made visual for us by the artist. 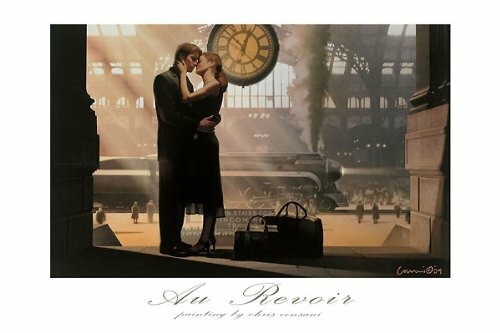 ‘Au Revoir’ is the title of this middle piece which depicts a classic railway station farewell scene. A timeless image, combining vintage elegance with a moment that we have all experienced at one time or another. As Shakespeare said, “Parting is such sweet sorrow”. The title hints at this being a couple in France, but they could equally be in New York, London, or Moscow, let your own imagination decide. Are you looking for puppy love inspirational love posters? Then take a closer eye to this modern and chic art print. Our third couple are having a relaxed but oh-so-romantic meal for two. His captivated gaze says it all in this eye-catching piece of art. 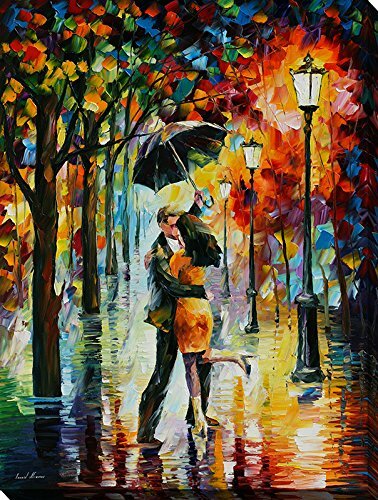 If you are enchanted, as I am, by couples embracing under umbrellas (who cares that it’s raining when they have each other!) you will also love this couple who seem to have made it their life’s ambition to kiss in scenic cities around the world, each time sheltered by a red (or is it deep rose?) umbrella. These couples kissing under their red umbrella are also even more inspirational than all kinds of love posters quotes. This is a beautiful way to commemorate a special trip of your own, perhaps a honeymoon, anniversary celebration or even your first meeting. Was it Paris that captured your hearts? Then the night scene with the Eiffel Tower lit up will be the wall art for you. Maybe Venice was the place you fell in love (oh such an inspirational place!)? 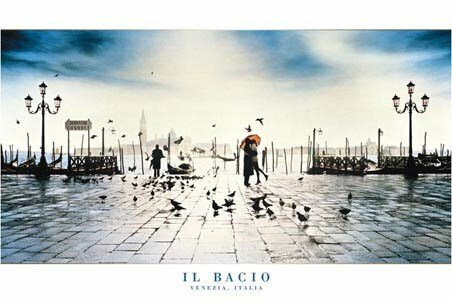 Recreate that feeling with the Venetian scene. 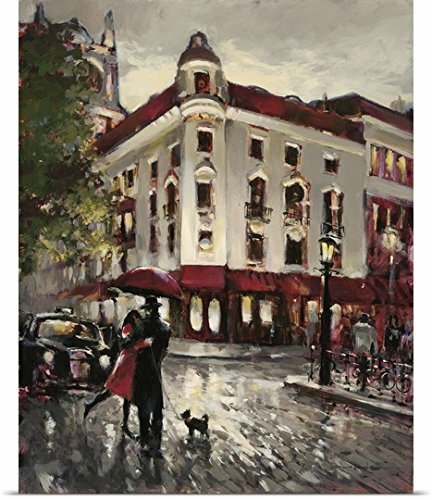 For a more painterly look, the art by Brent Heighton in the print on the right shares the red umbrella but this time she wears a beautiful red coat, reflected in the rain-soaked ground. If you love this one, take a look at Heighton’s other work too. 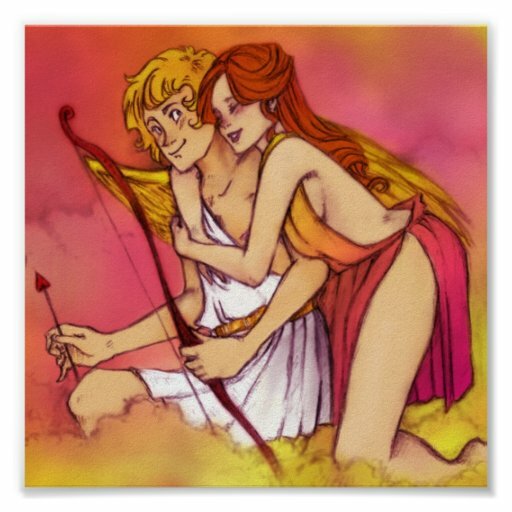 His collection of artwork offers a large range of inspirational love posters for Valentine’s Day to choose from. Some people adore full-on romance in all of its detail, but for others a bold image captures the meaning of Love. Here are 3 love posters that each make a statement. The first is a Valentine’s Day wall poster with attitude, showing a heart on fire, and titled ‘Burning Heart’. The red and gold make this graphic design look like it is alight in the all-consuming flame of love. If your message is ‘Forever’, the middle design gives a new spin to hearts and flowers. Vibrant and modern, this art is for rockers, rebels and anyone who does things differently. Return to something a little more classic, but with a beautiful hand-drawn look in the 3rd wall poster. At first glance you will see a red rose and a sealed love letter. Look more closely to discover the hidden message ‘I Love You’. The boldest, most breath-taking statement of love is a kiss. 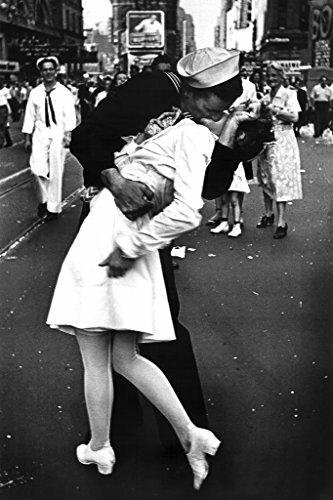 And these images of kissing couples are true classics that have stood the test of time and captured the hearts of a new generation. These beautiful black-and-white photographs show couples in a more glamorous era, where a passionate embrace in public was unusual and thrilling. While some want to know whether these classic images were staged, I can’t help but think they are missing the point. The power lies in the beauty and emotion of this photography. This is timeless wall art that won’t date no matter how long it takes pride of place on your wall. 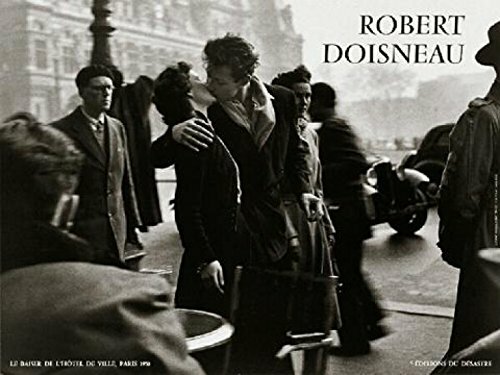 The only decision to make is between the ‘Eternal Kiss’ of the couple in the station, Robert Doisneau’s famous Paris kiss, or the iconic image of the sailor kissing the wartime nurse in Times Square by Victor Jorgensen. Who said romance was dead? These inspirational love posters are proof that, no romance is not dead. Taking inspiration from the past, these photographers have captured very modern couples in equally beautiful and loving moments, set against city scenes. 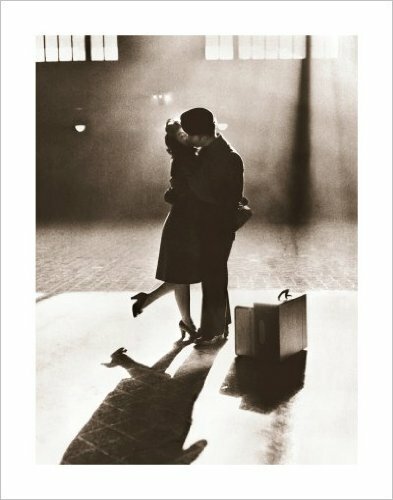 The passion of the first couple, locked in a kiss in the City Subway, is an edgy urban image that will make heads turn. Combining the romantic motifs of the Eiffel Tower and an umbrella, the middle couple add their own dimension with a lift and a clever camera angle that makes it look like she is lifted into the air by their love. Sometimes you just want to say it yourself. That’s why this final selection of romantic art is not about other people… it’s about the both of you. 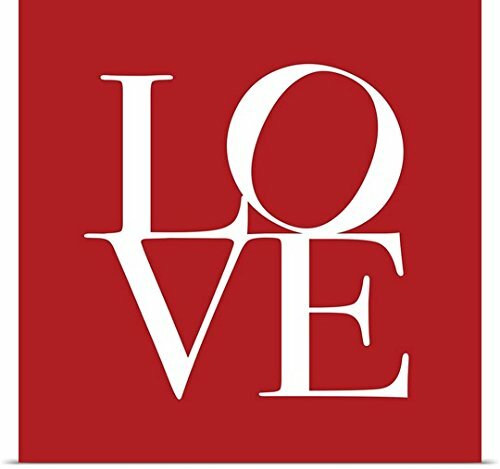 Yes, you can personalize each of these love posters and prints for wall to create an entirely unique gift for your loved one. 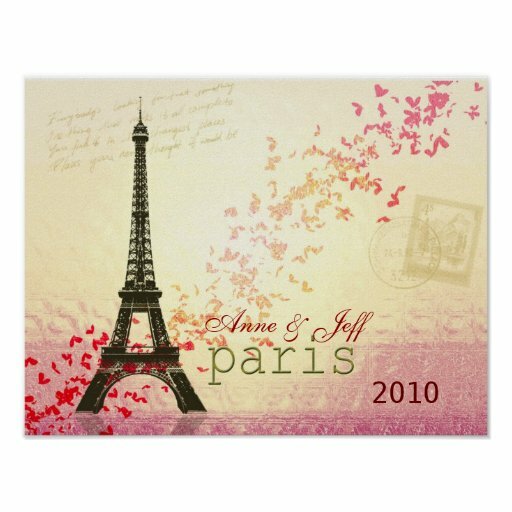 Commemorate a Paris honeymoon or other memory of the City of Lights with the first poster, to which you can add your names and a date. What will you add to the red love heart in the middle wall poster? A marriage proposal? A special compliment? Or simply ‘I love you’ and a name? It’s up to you! Link your names on a beach with the clever wall art showing hearts in the sand. All you have to do is type in your names and they will appear in place of the example names above the hearts. 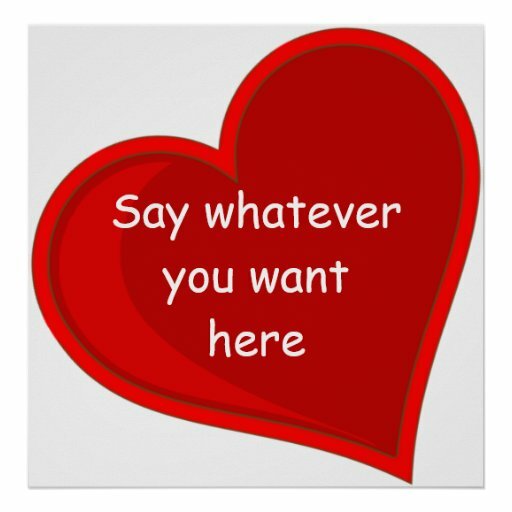 Tagged inspirational love posters, love posters and prints, love posters prints, love wall art, romance wall art, romantic posters and prints, romantic wall art, valentine's day photographs, valentine's day posters, valentine's day posters and prints, valentines day gift, valentines decorations, valentines pictures, vintage poster.